The weight of a baby causes your lower back to sway as your center of gravity moves forward. Poor posture (occurs naturally during pregnancy) – abdominal muscles stretch as the baby grows, they are less able to contract and keep your low back in alignment. Hormone levels of relaxin increase during pregnancy causing your joints and ligaments to loosen. Corrected posture (requires practice) – in order to counteract the increased low back curve, straighten your upper back so that your ear, shoulder and hip are aligned. We’ve made a video explaining how the treatments we offer can benefit both mother and baby before (including with infertility issues), during, and after pregnancy. This features chiropractic care, massage therapy, naturopathic care, and kinesiology/orthotics. Back pain is the most common soft tissue complaint of pregnant mothers. The above factors increase the frequency of vertebral subluxations, muscular spasms, soft tissue pain and altered spinal biomechanics– all of which respond exceptionally well to chiropractic care and massage therapy. Did you know that research supports a link between chiropractic care and shorter, less painful labours, with fewer complications and interventions? Come see Dr. Barbara Rodwin for more information regarding this. Chiropractic care benefits all aspects of your body’s ability to be healthy. This is accomplished by working with the nervous system–the communication system between your brain and body. Doctors of Chiropractic work to correct spinal, pelvic and cranial misalignments. When misaligned, these structures create an imbalance in surrounding muscles and ligaments. Additionally, the resulting nerve system stress may affect the body’s ability to function optimally. The birth process is hard on baby: have them checked after the delivery for issues! 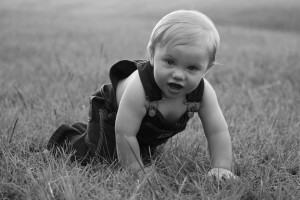 And then during the crawling and walking phases when the spine is developing. In the first trimester massage can help ease nausea, headaches, sinus congestion and fatigue. In the second trimester it is effective in easing leg cramps, sciatica, and backaches. A pregnant woman’s blood volume increases as much as 40%. Massage therapy helps to support the extra workload placed on the heart by aiding circulation as well as other body fluids. For women who must sit for prolonged periods of time, leg and pelvic massage help to reduce the likelihood of varicose veins and swollen ankles. 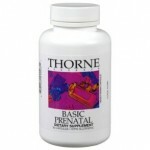 In the final trimester it helps to reduce swelling, insomnia and overall joint and muscle soreness. Regular massage during pregnancy gives muscle tone and flexibility that are needed during labor and delivery and can be very beneficial in recovery. Acupuncture: did you know that acupuncture is safe before, during, and after your pregnancy? What do you think acupuncture is used for? Acupuncture is used for infertility, conception, nausea, general wellness, induction of labor and lots of other health related problems. Both Dr. Barbara Rodwin and Dr. Sarah Kristolaitis are certified in acupuncture. Feel free to ask either of them if it would aid you with becoming pregnant, during pregnancy and even afterwards! Whether you’re currently pregnant, trying to get pregnant, preparing for labour, or even just looking to optimize your future fertility, Naturopathic Medicine can help! Dr. Sarah looks at all of the hormonal, nutritional, immune and stress-related factors that impact your ability to conceive and maintain a healthy, happy pregnancy. For those looking to get pregnant, Dr. Sarah screens and treats some of the less common barriers to conception which are not always detected through conventional means. These may include nutritional deficiencies, food sensitivities, stress, and hormonal issues like estrogen dominance and hypothyroidism. Balancing these factors can help to increase your success when trying to get pregnant! This can also be done in conjunction with IVF and assisted fertility treatments. For those who are currently pregnant, strategies are used to optimize nutrition and treat pregnancy-related ailments including morning sickness, fatigue, heartburn, constipation, and anxiety. As you progress into your third trimester and are approaching labour, we discuss methods to strengthen the uterus, ripen the cervix and induce labour. This often includes acupuncture which can be an extremely useful way of inducing labour naturally! 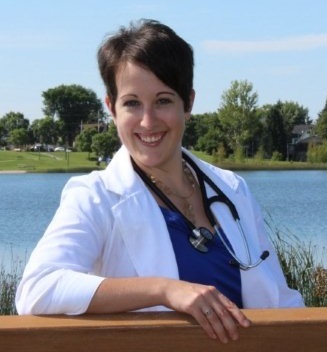 For more information on fertility and pregnancy, ask to speak with Dr. Sarah or book your initial consult. Until your uterus really starts to grow you will probably find whatever position you are used to the most comfortable position to sleep in. As your uterus grows it becomes more important to adjust to sleeping on your side. This is because, on your back, the weight of the uterus can compress major blood vessels that run down the right side of the spine. Therefore the left side is the most recommended side to position you in. It’s okay to move during the night as this is a natural part of our sleep process; eventually you will be too big to move around as much anyways! To help reduce the strain on your low back and pelvis try to position your pillows so that that they are keeping your spine in alignment. A pillow between your knees while side-lying will accomplish this. 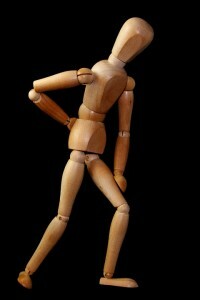 A small pillow under the small of your back will help to relieve pressure, on your pelvis. A pillow underneath your abdomen will help reduce the rotation of your back caused the weight of your belly when you lie on your side as well. Your ultimate comfort is what is important but taking into consideration what stress is being placed on your body is equally important. 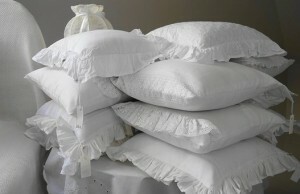 Use as many pillows as you feel necessary to give yourself the support that you need! The Webster technique is a specific chiropractic analysis and diversified adjustment. The goal of the adjustment is to reduce the effects of sacral subluxation/sacroiliac joint dysfunction. In doing so, neuro-biomechanical function in the pelvis is improved. 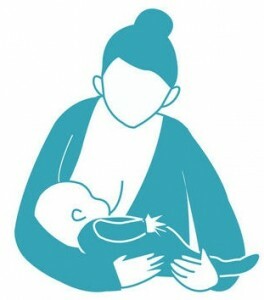 Dr. Barbara Rodwin has certification in this technique and has aided many breech babies in turning! WOW, this technique for breech babies is so AMAZING! Click here to read more about it or find a practitioner in your area. There is an adjustment for the head and skull for babies after the birthing process that aids the alignment of the skull! Dr. Barbara Rodwin has treated many newborns with this technique to aid sleeping, skull misalignments due to the birth process and many other issues! – Once baby has latched on, lean back into the pillows and relax. Don’t hunch forward over your baby. – Place two pillows under your head, a pillow behind your back, a pillow under your top leg and a fifth pillow tucked behind your baby. Remember…if mother is comfortable then baby is likely to be comfortable too! 1. When sitting, do not cross your legs. This position decreases circulation. 2. When doing any task where you are standing for a prolonged period of time put one foot up on a step or stool. This will decrease the sway in your lower back. This will also relieve pressure from your low back while sitting. 3. Don’t lock your knees. This can also increase pressure on your low back. Instead, stand with feet shoulder-width apart and flex your knees just a bit so that the thighs take on more of your weight! • To reach or lift low objects, spread your feet apart with one foot ahead of the other and bend your knees. This is a good stance when you have your baby on the change table. • When lifting your baby from the crib bring them close to you as you straighten your knees and lift; this allows you to use your thigh muscles rather than straining your back. • When getting in and out of bed or a car, turn your hips, pelvis and back in the same direction while maintaining a straight back. When getting out of bed, first roll to your side and then use your arms to push from the bed. • Carrying car seat: Hold the load of the car seat close to your abdomen, preferably on your abdomen and grasp the two handles with your hands. This is the safest way to carry a car seat for your back! • When carrying or holding your baby try to place them in front of you rather than on your hip, this will reduce a lot of one sided loading that can strain the muscles in your back, arms and neck. Complementary pregnancy check by Dr. Rodwin for mothers and babies!